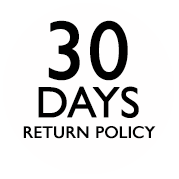 All products purchased from our web-store are eligible for 30 days Return Policy..
All products will be accepted under return only if the products are sealed or unopened. Any product used or opened shall not be accepted under Return Policy. When the product is return our Quality team will check the same, Only after confirmation from them we shall process the returned. Refund shall be made through cheque or reverse of payment paid through Credit Card , whichever process shall be in favour of the company. Returns in UAE are eligible for free returns .For all the other returns outside UAE , the cost of the same shall be bared by buyer. We accept all the products purchased from us from www.megsstartechnology.com or Megsstar Store returned to us within 30 days from date of purchase. Exchange/Return are both possible subject to product seal unopened which mean product should be 100% original packing with seal. In case any products are opened or unsealed shall will not be entitled for return/exchange. Sold products such as DJ Software’s , Music production software & Digital Delivery shall not be entitled for any return or exchange. If your products arrive damaged or they are faulty, you may return them and obtain a replacement product, provided you notify us regarding the complaint within 3 days of receipt of the product. You receive the wrong order. The Product(s) is damaged in transit, provided insurance is selected during delivery. A manufacturer advice requests that the Product(s) be returned. A replacement will be provided for all orders where the product is received “Faulty / damaged” or within a 3 day period if the product is found to be Faulty. In such cases the product must be returned with all correct manuals, packaging intact and all correct cables that came with the product, if any of these are found to be incorrect then the replacement will not be processed. After the 3 day window for replacement of faulty products any product that becomes faulty after this period will be subject to the manufactures warranty, Megsstartechnology.com customer support can assist in directing you to the after sales service. You must assume the cost and risks of product returns, unless Megsstartechnology.com failed to deliver the product ordered or if the product delivered is defective. In such a case, Megsstartechnology.com Online will assume the costs and risks related to transportation. Upon receipt of returned products, a quality check will take place at manufacturer’s authorized service centre, upon the condition that said products are received by Megsstartechnology.com in the same condition in which they were delivered to you. A replacement product will be shipped based on the approval report from the service centre. If packaging is incomplete or product damaged, scratched, exchange or refund will not be applicable. In case where Megsstartechnology.com is not able to procure a replacement product for you, our customer support team will contact you for providing any alternate options. 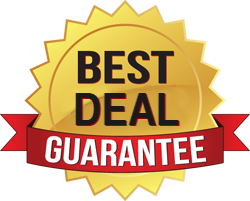 If any alternate option cannot be reached we will issue refund for the price of the product not including the delivery and any other additional charges. We only accept returns through our returns process set out above. If a Product(s) is not returned according to our returns process we are under no obligation to accept return of Product(s) by you. Refund will be processed by Megsstartechnology.com within 20 working days and charged back to the credit card that was used for online payment after deducting bank charges. Please note that your credit card company may need additional time to post the money to your account.